A social network for people who like to share their extreme sport adventures, hobbies and experiences. Extreme Sport adventures, hobbies, videos, pictures of what you experience in your lifetime. Network & make friendships with those who share the same passion as you do! A social network for people who like to share their extreme sport adventures, hobbies and experiences! Inside there is a directory of over 50k Businesses in the US on the OSN Hub. Find discounts or sponsors. If you are a team, get listed, get noticed and network worldwide. Sign up today for FREE and explore world-wide what extreme sports is all about. Discover the opportunities and connect with others who share your passions. Use the tools given to you. 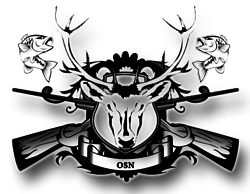 OSN gives you the opportunity to show others & teach them what you know. Invite your friends, referrals are welcomed and appreciated. Signup now to get the most of it!